SimLab Composer is designed for product design engineers to create high quality visualizations and to run dynamic simulation analysis. As a 3D software solution for mechanical engineering, SimLab Composer includes workbenches for commercial or noncommercial use anywhere. Included workbenches in this edition are Sharing, Rendering, Animation, Simulation,Texture Baking, and Expo. 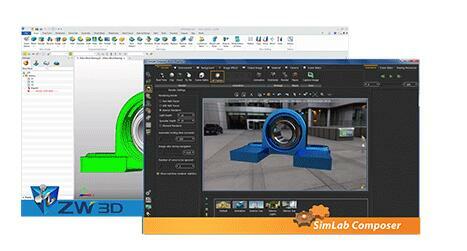 What is SimLab Composer integration plug-in for ZW3D?
. SimLab Composer integration plug-in for ZW3D is a free tool that acts as a middle layer between ZW3D and SimLab Composer app.
. By installing it, you can utilize the full benefits of SimLab Composer.
. Allows you to keep an active link for keeping data in sync across ZW3D and SimLab Composer, so you avoid to repeat work inside SimLab Composer.
. Gives you the ability to transfer your ZW3D scene to SimLab Composer at any time during your ZW3D session.
. Its menu can be found and accessed in ZW3D under the Extensions tab.
. Available on Microsoft Windows Only.
. Enjoy the benifits of SimLab Sharing.
. Enjoy the benifits of SimLab Rendering.
. Enjoy the benifits of SimLab Animation.
. Enjoy the benifits of SimLab Simulation. Since SimLab Soft was founded in 2007, it's mission was clearly defined. 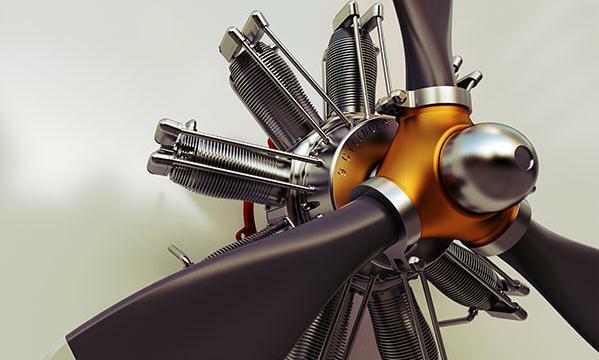 Develop state-of-the-art 3D software products that are both fun and easy to use. 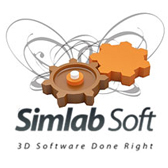 SimLab does its best to make sure that it always provides the right 3D tools, and that the users are enjoying their tools, and they help them succeed, accomplish great results fast, and within budget. Known for their wide range of powerful 3D importers and exporters, used in multiple commercial 3D products, and their worldwide base of 3D partners who they helped to bring their 3D ambitions into reality through professional consultation. Note:we take your privacy 100% safety.